I am with wheels again, 2nd time of my life, since Brighton. 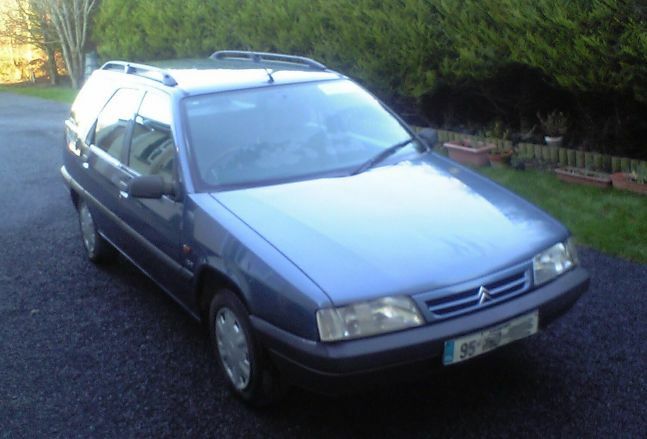 This time a Citroen 1.9L diesel estate, 1995, 133,000 miles. Mum & Dad gave it to me, which was very nice of them. It runs perfectly. Insurance cost me an arm and a leg, no no-claims, not even named driver, so I have to just swallow it, at least for the first year. So far we've only used it to go shopping, I haven't even filled the tank a second time yet. I don't really need a car, I live beside the office. My main reason for getting one is shopping and to help the environment. You see, in Ireland you need a car to be able to recycle. I've started running for the first time since dislocating my knee a couple of years ago. Mixing it with the cycling, so now I'm finally getting some proper exercise. I've run five miles (8km) three times now, the latest in 47 minutes, which is about the right speed (the right speed for what, I really don't know). 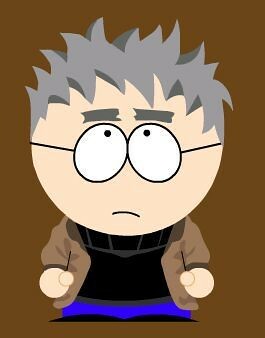 At this stage I'm actually feeling good the next day. All thanks to George and Michael, who started training for the Connemarathon and I tagged along, I won't do a marathon myself but it is much easier to train in a group. 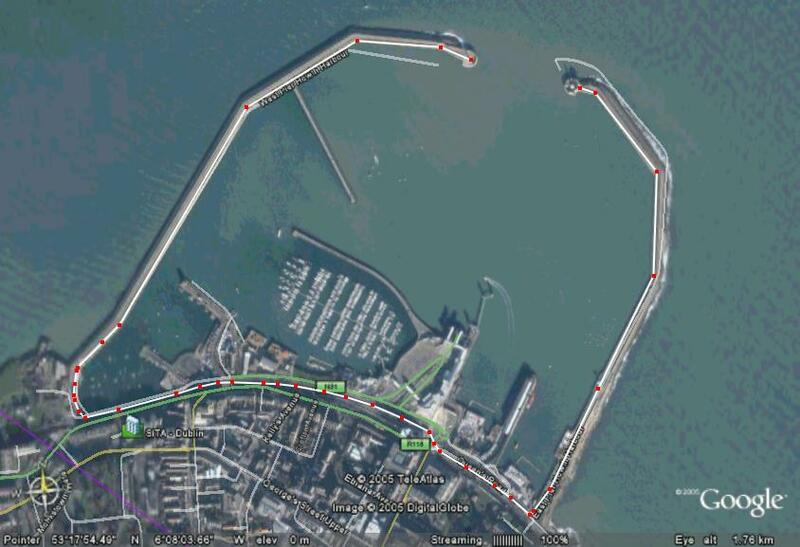 We figured out a nice route for running in Dun Laoghaire, start anywhere between the two piers run to the end of each and back to where you started, it is five miles! (Check it out on Google Earth). Going tomorrow afternoon, arriving Monday morning, and we'll be there for two weeks! This week I'll mostly be eating beef and drinking caipirinhas. Mustach Update - The Ominous Shadow!